Good morning, Nick, and thank you for contacting us about your well water situation. First off, we would like to know why you suspect ‘contamination by gas’ in your well water? Do you smell a particular scent or detect an unusual taste? Hydrogen sulfide gas (in very low concentrations) gives off a distinct sulfur or ‘rotten egg’ smell. Methane, on the other hand, has no natural scent or smell to it. The smell associated with methane often resembles that of hydrogen sulfide gas because utility companies and commercial distributors of methane often mix trace amounts of hydrogen sulfide gas with the methane to aid in leak detection. As far as testing for methane goes, the gas typically volatilizes very quickly at ambient (room) temperature and therefore testing for it in drinking water becomes extremely difficult. Something else to consider: If you detect a sulfur smell ONLY when running hot water, you may have a problem with your hot water heater. The real estate market has touted that phrase for years as one of the most important factors in determining the value of property. With that in mind, when it comes to well water quality, the ‘value’ (quality) of well water depends greatly on the placement of the well. Regarding testing options, you can either contact a local water testing laboratory (your local board of health should have a list of qualified laboratories in your area) and have them perform analyses on your water or you may want to consider using mail-in use water testing services like National Testing Laboratories. While pretty much everyone knows we suggest a regular regimen of well water testing (at the very least annually for things like coliform bacteria, nitrates, nitrites, arsenic, heavy metals, etc. ), we ALSO think it of paramount importance that people do NOT procrastinate when it comes to testing their water if/when they suspect a problem. Taking the time to perform the testing required to effectively and efficiently diagnose a water quality problem always makes sense! Remember: It’s your water, your health, and ultimately… your LIFE! While many people still blame sulfur for the rotten egg smell in water, sulfur alone does not create that terrible smell. Technically speaking, the sulfur combines with two hydrogen molecules to form H2S, a compound formally commonly known as hydrogen sulfide gas. It does not take a large quantity of liberated hydrogen sulfide gas in a water supply to make the water unappealing because of its wretched, egg-like aroma and the smell typically intensifies as the water temperature rises and more H2S gas leaves the water. Some would think that simply detecting the rank stench of H2S gas in drinking water would serve as all the information needed to select the correct water treatment system but, as with most other drinking water contaminants, the concentration of H2S gas in the water determines what method of removal will make the most sense. Simple activated carbon filters usually do a decent job of removing smaller amounts of H2S gas. For higher concentrations of H2S gas, other, more complicated and expensive methods usually become necessary. In some of the methods chemicals convert the gas back into its elemental form (a powder) and then a filter strains out the precipitated sulfur. We have already mentioned that hydrogen sulfide gas in water does not need to have all that high of a concentration to offend one’s nose so it stands to reason that a good test kit for hydrogen sulfide gas in water would have the ability to detect very low levels of the gas. Thus far in our travels the kit that seemed to have the easiest instructions, easiest to read color chart, a decent amount of accuracy, and best overall value came from WaterWorks and goes by the name of Low Range Hydrogen Sulfide Check. 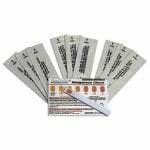 This highly affordable hydrogen sulfide test kit for drinking water detects hydrogen sulfide levels from 0 ppm to 2 ppm with the first color pad having a value of 0.3 ppm. Testing time: Under 3 minutes. 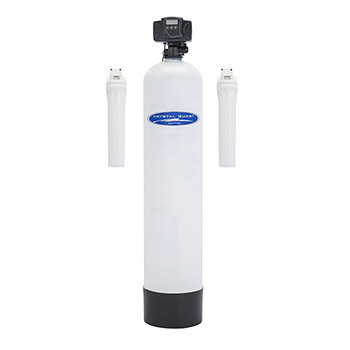 The task of removing hydrogen sulfide from drinking water can get accomplished in several ways, but for the average home or business owner using a whole house filter that contains specialized filtration media typically makes the most sense. 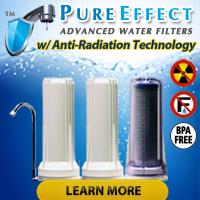 A company by the name of Crystal Quest manufactures several different whole house water filters capable of removing hydrogen sulfide and you can find information on how they work as well as the levels of hydrogen sulfide they remove on the FilterWater.Com web site. 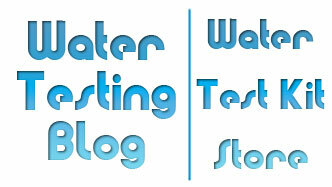 Question: What is a Sulfur Water Test? Today we received a question from NicholasG asking about something called… ‘a sulfur water test’. Don’t know if you can help, but what in the world is a sulfur water test? An older couple came by to look at our house today and before they left the man asked us the last time we had a sulfur water test done. So what is a sulfur water test and why did he ask that? Given that he asked about a ‘sulfur water test’, we will assume your home has a private well as its water supply. The term ‘sulfur water test’ usually refers to any test that detects dissolved hydrogen sulfide in water. If you’ve got an iron or hydrogen sulfide problem, you may find the answers you seek in a whole house iron and hydrogen sulfide filter. Using a specially blended filtration media that includes glauconite green sand, the system effectively removes iron, manganese and hydrogen sulfide. Why would drinking water contain hydrogen sulfide? Pinpointing the exact source of hydrogen sulfide in water sometimes takes a bit of effort. The gas occurs naturally in groundwater and may come from microorganisms referred to as ‘sulfur bacteria’. That same type of bacteria may also exist in a well and or in the water distribution system after a well. To make matters even worse, sulfur bacteria may also live in water heaters and chemical reactions within certain types of water heaters can also result in the addition of hydrogen sulfide to water.It can be produced also by sulfur bacteria or chemical reactions inside water heaters. Though not nearly as common, specific types of pollution may also add hydrogen sulfide to a water supply. Sulfur bacteria and hydrogen sulfide… Dangerous? Most times a rotten egg smell coming from water does not mean the water poses a significant health risk. But, in the absence of other contributing factors, one should always remember that in rare cases hydrogen sulfide may occur as a result of a contamination from sewage or other types of pollution — and in those cases serious and/or life-threatening health hazards may exist. As a precautionary measure, we suggest that anyone whose water suddenly develops a rotten egg smell have their water tested for other water parameters such as coliform bacteria and nitrates, as unsafe levels of either in water make the water unsafe to drink non-potable and unfit for human consumption. Another thing to remember about hydrogen sulfide gas, at high levels in the air it poses a danger. Therefore one should always take steps to properly vent any area where the gas may build up, such as around the well head, basements where well water enters, etc. Entering an area that has a built up hydrogen gas in the air could very well prove fatal without the right protective gear so if a you suspect a buildup, call in a professional. Testing for hydrogen sulfide in water… Difficult? Before you can choose a hydrogen sulfide removal systems you must first know how much you have present — or risk purchasing and installing the wrong size or type of filter! While the majority of people will have the ability to pick up the distinct aroma (odor!) of rotten eggs in a sample of water, most people do not know that it takes only a small amount of hydrogen sulfide gas in water to make quite a huge stink. Therefore you will need a test kit for hydrogen sulfide to determine how much you have. For drinking water applications, the Low Range Hydrogen Sulfide Test Kit will work quite well since it has a low detection level of 0.3 parts per million hydrogen sulfide and an upper detection limit of 2.0 ppm. Most people with a hydrogen sulfide problem will have a level somewhere in that range. Testing for hydrogen sulfide in industry? OK, since we know some people in industry have uses for water containing much greater concentrations of hydrogen sulfide, we figure they, too, may want to test hydrogen sulfide levels — and for them we suggest the WaterWorks Hydrogen Sulfide Test Kit which has a detection range of 5 ppm to 80 ppm and gives results in under a minute. Rotten Egg Smell In Drinking Water? Most likely the cause of the rotten egg smell has something to do with the presence of hydrogen sulfide gas in your water source or the same gas getting generated somewhere in your plumbing. How do you verify the presence of hydrogen sulfide gas? Use a hydrogen sulfide test kit, of course! Now some people will tell you that smelling the rotten egg smell serves as proof enough of a problem and that you ought to just go and get a filter for your water… but did those people know that different types of filters work well for different concentrations of hydrogen sulfide? Also, before you run out and pick up a water filter system to remove hydrogen sulfide, make sure the source of the gas lies outside of your home and not within your plumbing! Activated carbon filters work well for hydrogen sulfide concentrations less than 1 mg/L. Manganese ‘greensand’ filters work well for hydrogen sulfide concentrations as high as 6 mg/L. Oxidation filtration systems work well for hydrogen sulfide concentrations up to and exceeding 6 mg/L. How do you know what type of filter get? Get yourself a drinking water test kit for hydrogen sulfide and let the results dictate your next move. When you tell a person that you detect the smell of sulfur (rotten eggs) in your home they will immediately ask you if you have sulfur, usually in the form of hydrogen sulfide gas, in your water supply. Performing a simple test for hydrogen sulfide in water will confirm what your nose told you… or will it? Yes, the test for hydrogen sulfide in water can confirm the presence of hydrogen sulfide in your drinking water, but what happens when the test comes back negative and you still have the rotten egg smell in your home? What does that mean to the average homeowner experiencing problems with the smell of rotten eggs in their home? It means they may need to test their water for hydrogen sulfide and check to see what kind of drywall the builders used in the construction of their home. Homeowners w/ questions about the materials used to build their home should first contact their builder. If that does not yield satisfactory results, contact the local Health Department and ask them what they believe you ought to do next. As most people already know, sulfur into hydrogen sulfide gas and create a rotten egg smell in drinking water. Arsenic, on the other hand, has no scent and can go undetected even in high concentrations. While hydrogen sulfide in water creates a giant nuisance with its stench, arsenic poses some real danger to humans and should not exist in drinking water. The USEPA set the maximum contaminant level for (inorganic) arsenic in drinking water at 10ppb, or 10 parts per billion. Before you can effectively remove either of the compounds you must first learn how much of one or both contaminants you have. The test kits below will provide on-the-spot testing results for screening purposes only. As always, though, we suggest having your water professionally tested by a certified water analysis laboratory before making any final decisions regarding which treatment system to purchase or deciding whether or not you actualll need a water treatment system. While performing our usual search for water quality, water quality testing, and water quality improvement devices we stumbled across an article about a chemical-free technology (OXI System) which supposedly can remove high levels of iron, manganese and sulfur from water previously deemed unusable for many applications. 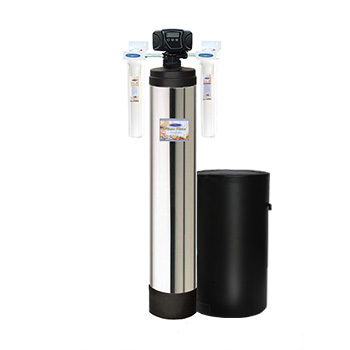 IRONPro manufactures a unique chemical-free water filtration system that improves water quality in home, agriculture, business, and other applications that rely on well water. LWC Ltd. began developing a unique Iron and sulfur filtration system in 1995 called the OXI System. The OXI System uses a chemical free process to remove Iron, Hydrogen Sulfide, and Manganese from problem water applications. In 2000, LWC Ltd. was issued patents covering the system as well as its unique air injection method. The system is now marketed under the IRONPro trademark. You can find more information about the OXI System at IRONPro’s web site.